Bringing a much needed relief to individuals who are yet to link bank accounts with Aadhaar, the government on Wednesday postponed the Aadhaar-bank account linking deadline to March 31, 2018. Bringing a much needed relief to individuals who are yet to link bank accounts with Aadhaar, the government on Wednesday postponed the Aadhaar-bank account linking deadline to March 31, 2018. The Centre on Tuesday amended Prevention of Money-laundering (Maintenance of Records) Rules, 2005, which was notified in June 2017, requiring you to link your Aadhaar with your various investments such as bank account, insurance and mutual funds by December 31, 2017. 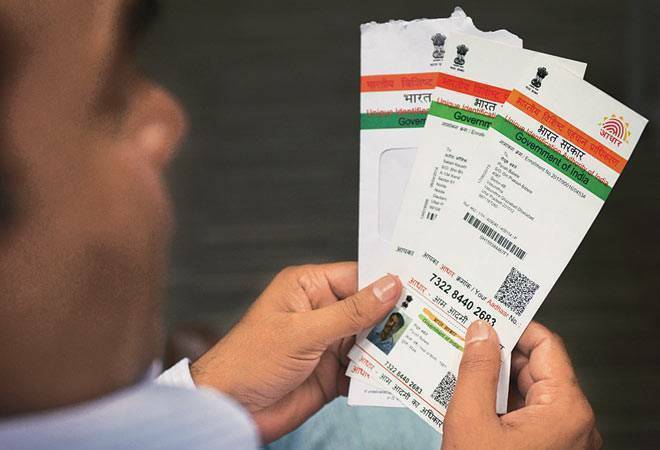 The Finance Ministry came out with a new notification on December 12, stating that an amendment will allow the account holders to submit the Aadhaar number and Permanent Account Number or Form No. 60, by "such date as may be notified by the Central Government". The government had earlier extended the deadline of Aadhaar linking with PAN card till March 31, 2018. In case of opening a bank account, Aadhaar will have to be given at the time of opening the account or within six months of opening the account as per the amended Prevention of Money-laundering (Maintenance of Records) rules. Tuesday's notification by the Department of Revenue in the finance ministry effectively paves the way for extending the deadline for mandatory quoting of Aadhaar for activities like the opening of a bank account. This is in line with the Centre last week informing the Supreme Court that it is willing to extend till March 31 the deadline fixed for mandatory linking of Aadhaar to avail various services and welfare schemes. If the account holder "fails to submit the Aadhaar number and PAN by such date as may be notified by the central government, the said account shall cease to be operational till the time the Aadhaar number and Permanent Account Number are submitted by the client", it said. The broad rule also applies to all cash dealing of more than Rs 10 lakh or its equivalent in foreign currency, cash transactions where forged or counterfeit currency notes have been used and all suspicious dealings. The date for linking of Aadhaar with PAN was initially extended till 31st August, 2017 which was further extended upto 31st December, 2017. All taxpayers having Aadhaar Number or Enrolment Number are required to link the same with PAN under the provisions of recently introduced section 139AA of the Income-tax Act, 1961 which was effective from 01.07.2017.